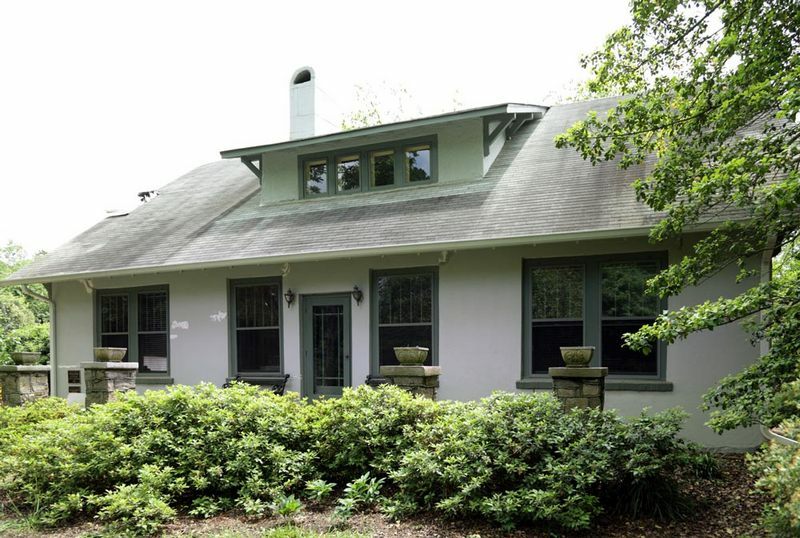 The Lawrence House is a rare and early example of a hollow-core concrete-block Craftsman bungalow. Bungalows, a popular house type in Raleigh and across the country in the 1920s, generally are of frame or brick construction and very commonly are dressed in the Craftsman style. Gustav Stickley encouraged the use of concrete-block construction in his Craftsman magazine of the period, citing the material's low cost, easy use in construction, and stylishness. Elmo Lawrence, a Wake County native, practiced dentistry in Raleigh for fifty years. He lived here with his family from 1922 until his death in 1959. Private residence. Dr. E.N. Lawrence House, 2009: Image by Michael Zirkle Photography, copyright Raleigh Historic Development Commission. Dr. E.N. 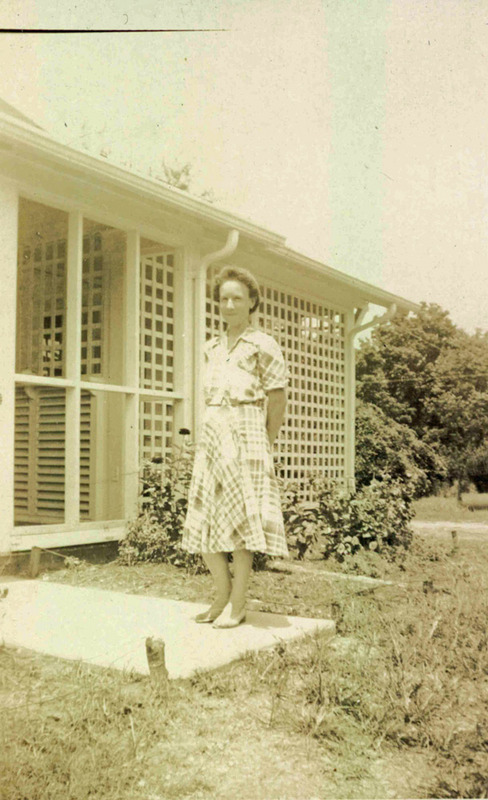 Lawrence House, date unknown: Image courtesy of the Lawrence Family. Dr. E.N. 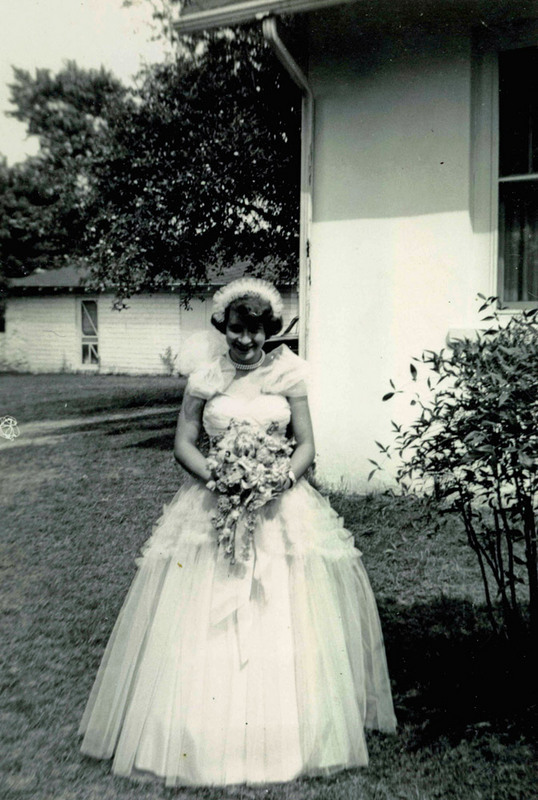 Lawrence House, 1952: Bride at the Lawrence House. Image courtesy of the Lawrence Family. Dr. E.N. 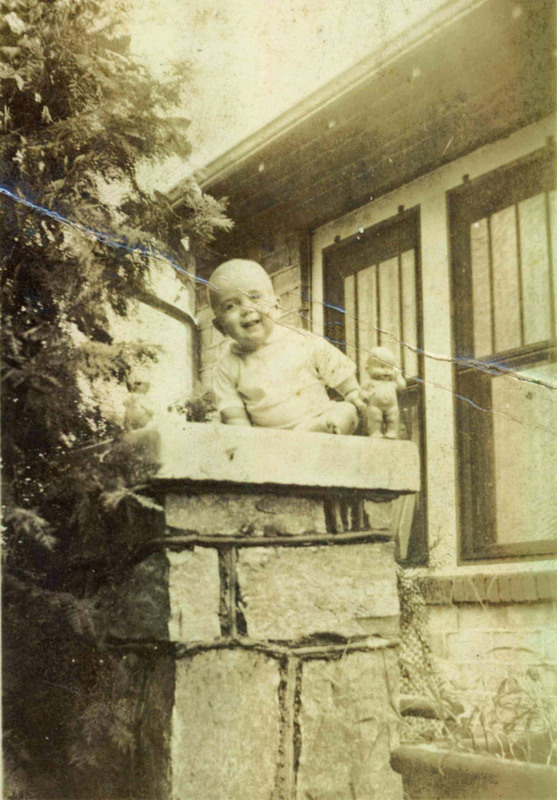 Lawrence House, date unknown: Baby (Is that Mom in the bottom corner?) Image courtesy of the Lawrence Family. Dr. E.N. 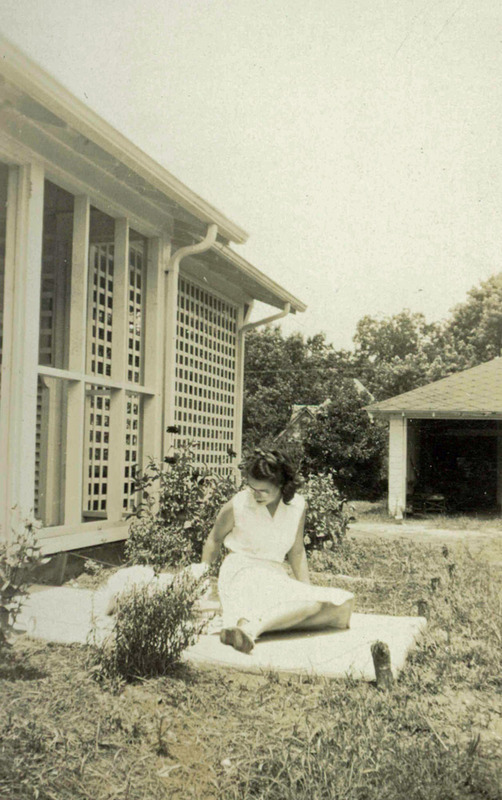 Lawrence House, date unknown: Dorothy Lawrence. Image courtesy of the Lawrence Family. Dr. E.N. 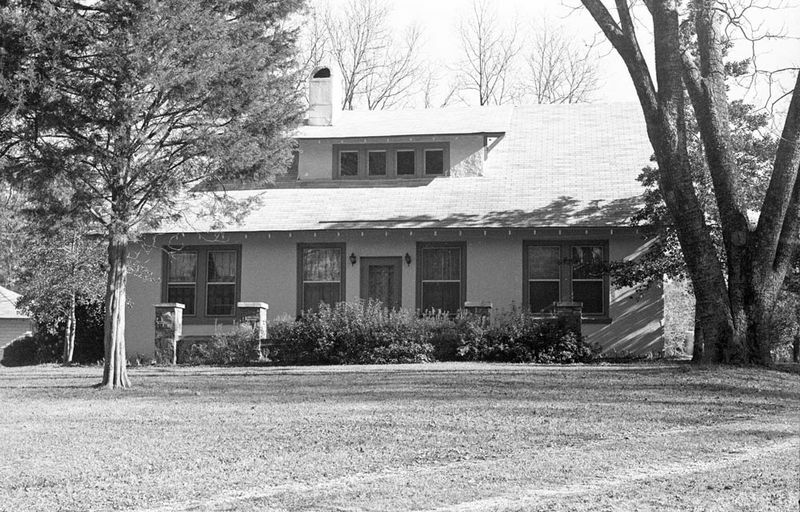 Lawrence House, 1992: Image courtesy of the North Carolina State Archives. RHDC, “Dr. E.N. 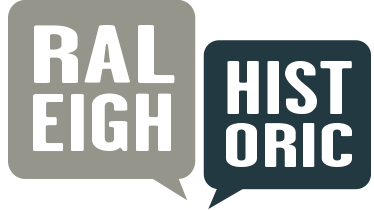 Lawrence House,” Raleigh Historic, accessed April 20, 2019, https://raleighhistoric.org/items/show/119.